An overnight cruise amidst spectacular Milford Sound, is a once in a lifetime experience. While on board the Milford Mariner you will cruise the full length of this spectacular fiord to the Tasman Sea before anchoring for the night in sheltered Harrison Cove. Travel through the World Heritage listed Fiordland National Park and enjoy a Milford Sound cruise on this full-day one-way trip departing Queenstown and concluding in Te Anau. Journey in comfort on one of our brand new, glass-roof coaches and take in incredible panoramic views on the road to Milford Sound. Enjoy entertaining commentary, and let us show you the best stops along the way as you connect seamlessly to your Milford Sound cruise. Journey in comfort on one of our brand new, glass-roof coaches and take in incredible, panoramic views on the road to Milford Sound. Enjoy entertaining commentary, and let us show you the best stops along the way as you connect seamlessly to your Milford Sound cruise. Journey in comfort on one of our brand new, glass-roof coaches and take in incredible, panoramic views on the road to Milford Sound. The overland journey is a spectacular showcase of sheer mountains and towering cliffs, rugged valleys and the native rain forest surrounded by spectacular waterfalls and glacial lakes. Experienced local drivers provide engaging and informative commentary, and show you the best short walks and photo stops along the Milford Road. A spectacular one hour 40 minute cruise to the mouth of the fiord on a spacious, modern vessel with excellent viewing opportunities. Large windows, spacious decks and comfortable lounges offer uninterrupted views of towering peaks and surging waterfalls. Keep a look out for seals basking on the rocks, dolphins and penguins. Enjoy scenic highlights such as Mitre Peak and Pembroke Glacier. Picturesque mountains, deep fiords and icy glaciers - this is New Zealand's South Island. See for yourself on a four-day independent tour highlighting this scenic region. Travel by coach from Christchurch to Queenstown and up the West Coast to Greymouth before a return to Christchurch. 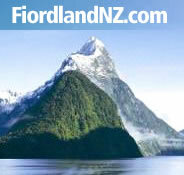 View Franz Josef glacier and experience Milford Sound. Many of Te Anau’s businesses are fairly centralised, so getting around the town centre is not a problem. There are also a number of short walks along lighted pathways throughout the town and along the lake front. To get to specific places throughout Fiordland there are plenty of daily coach departures, launch cruises, water taxi’s and scenic flights. You can get to Te Anau by car, bus or plane. Daily shuttle services run between Te Anau and each of the main centres of the South Island at least once a day. A network of paved footpaths, aided with clear signs and direction boards, help you get to your destination. The business area of Te Anau is centralised and enhanced by trees, elevated colourful flower beds, and information boards, along with plenty of seats and shops selling a wide variety of products. The town has lots of parks and the addition of lighted walkways along the lakefront makes for a pleasant evening walk. Most accommodation in Te Anau is within an easy walk of the main business centre and departure points for tours around the region. You may consider hiring a bike to explore Te Anau and the outlying countryside. For points beyond walking distance of Te Anau a number of options are available to you. There are plenty of drop-off and pickup services in Te Anau which will transport you to or from a destination at a small cost. By Air: One of the best ways of getting virtually anywhere in Fiordland is by air. Take an aeroplane, floatplane or helicopter and enjoy Fiordland’s rugged scenery from the air. Or consider just taking a short 10 minute flight with an overview of the Te Anau area. By Water: There are several water taxis on Lake Te Anau and Lake Manapouri that can drop you off at any point around the lakes. On Lake Te Anau, some of the most popular places are Glade House (start of Milford Track) and Dock Bay (on the Kepler Track).